The Solar Impulse 2 aircraft has begun its solar-powered trans-Pacific crossing. Track the aircraft on its 5-day leg to Hawaii on www.flightradar24.com/SOLAR2, see telemetry data at www.solarimpulse.com/rtw, or follow the journey with @solarimpulse on Twitter. Bon voyage, team! It was Eurovision again on the weekend. 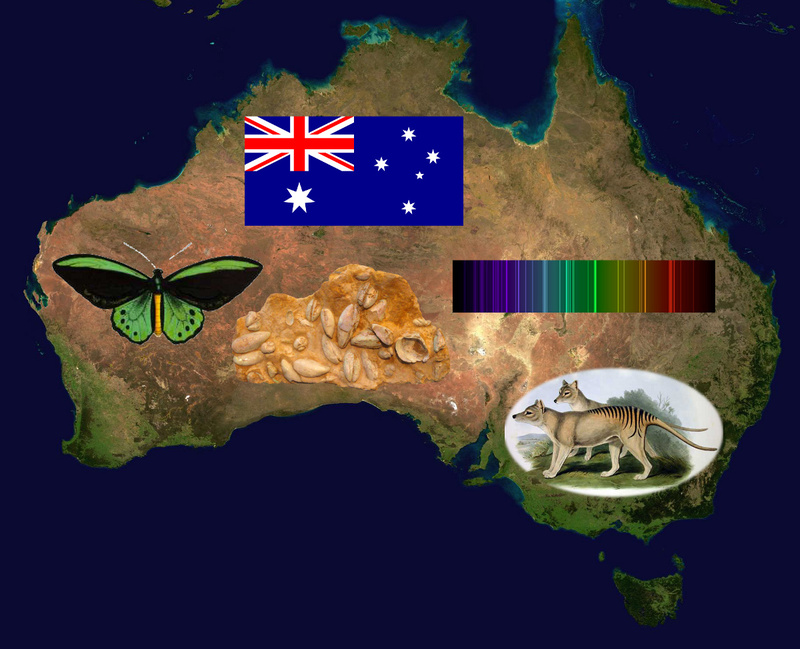 This time, Australia competed. And voted – twice. 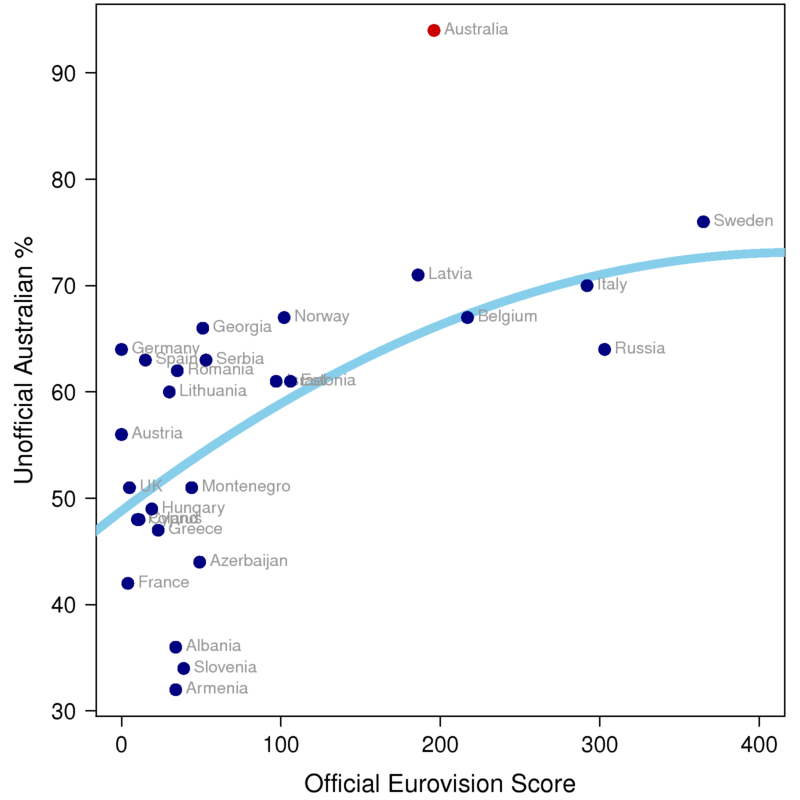 Officially, during the contest; and in the Australian evening, unofficially, at sbs.com.au. I have previously blogged about carbon dating, a method which can be used to date organic items up to about 50,000 years old. 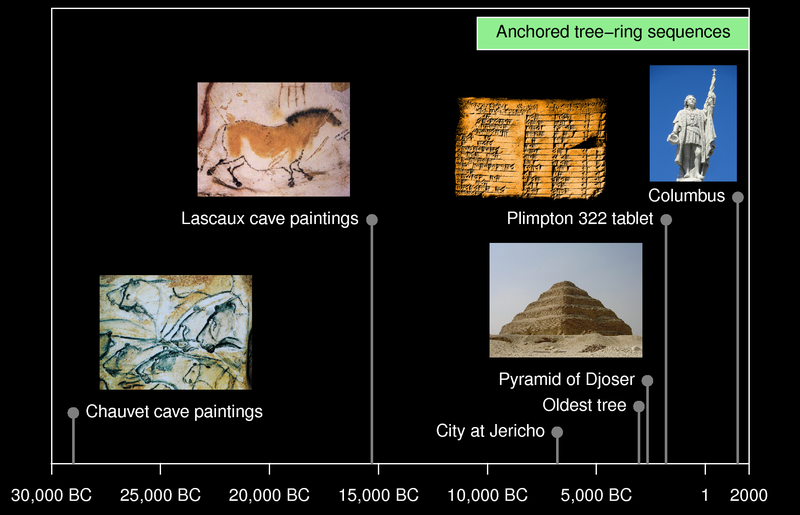 Tests of carbon-dating have used tree-ring data back to around 10,000 BC. NetLogo programs sometimes require agents to reason, and one of the simplest forms of reasoning is the sequent calculus. This uses expressions of the form α, β, γ, δ ⊢ ε, ζ, η which are interpreted as α ˄ β ˄ γ ˄ δ ⇒ ε ˅ ζ ˅ η. That is, all the hypotheses α, β, γ, δ are assumed to be true, and from that it should follow that at least one of the conclusions ε, ζ, η is true. 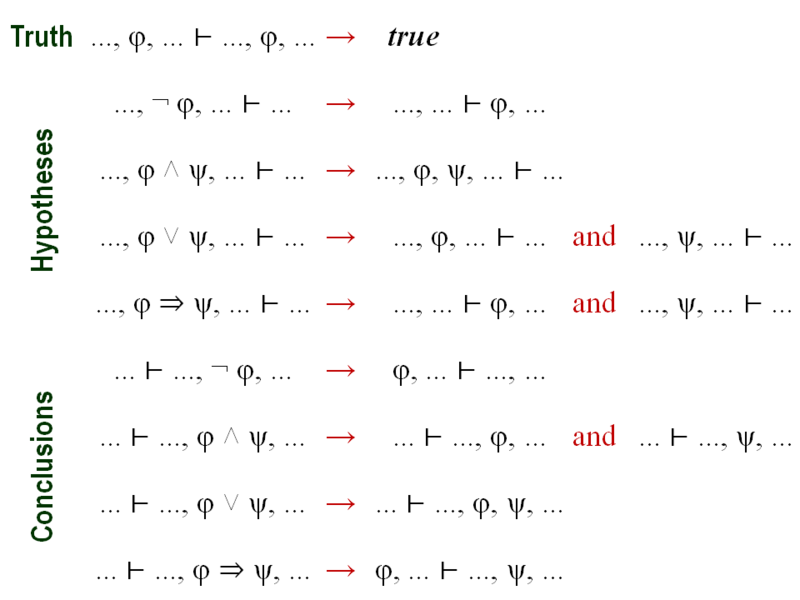 We can resolve the truth of sequents like α, β, γ, δ ⊢ ε, ζ, η using rules which simplify occurrences of ¬ φ (not φ), φ ˄ ψ (φ and ψ), φ ˅ ψ (φ or ψ), and φ ⇒ ψ (φ implies ψ) occurring in the hypotheses and/or conclusions, until we are left with a number of sequents like α, β, γ, δ ⊢ ε, ζ, η containing only atomic formulae. Such an expression is true if one of the atomic formulae on the left also occurs on the right (or, in more advanced versions of the logic, if the atomic formulae on the left somehow imply one of the atomic formulae on the right, in the way that x = y and y = z imply x = z). nice-print "a" atomic-hyp non-at-hyp atomic-conc non-at-conc ""
nice-print "b" atomic-hyp  atomic-conc non-at-conc ""
For demonstration purposes, the go button computes some basic facts about two turtles, combining this with a user-supplied list of hypotheses, and tries to prove a user-supplied conclusion (in this case [ "and" [ "implies" "C" "F" ] [ "not" [ "not" "Far" ] ] ], representing (C ⇒ F) ˄ ¬ ¬ Far. The NetLogo interface is shown at the top of this page, and the code is at Modelling Commons. The simple sequent calculus reasoner presented here can be fairly easily extended with quantifiers and other features that might be necessary. See also my other NetLogo tutorials. National Science Week in Australia is here in three months. Plenty of time to think up and register an event. You can also read a science book or visit a museum. So why not take part? All images used under Creative Commons license (CC BY-NC-ND, CC BY, and CC BY-NC-SA respectively). Click images to zoom and/or read more about the photographs.